Apple has emailed some customers who had an iPhone XS or iPhone XS Max scheduled for in-store pickup at an Apple Store today. The email says their orders "will not be ready for pickup" during their specified check-in time due to "last minute logistical issues," according to several MacRumors readers. As a fluid situation, it's unclear how many customers are affected, how long orders may be delayed, or what the logistical issues are. We reached out to Apple for clarification, but didn't receive any new information to share. It's certainly possible Apple may have enough in-store stock remaining later in the day to fulfill some or all of the delayed pickup orders. There is some evidence to support last-minute logistical issues. Yesterday, some customers saw their order status updated to "Shipment to Hold" on Apple.com, while UPS indicated that some orders originally scheduled for Friday, September 21 delivery would be postponed until Monday, September 24. For the most part, however, it seems iPhone deliveries are on schedule. MacRumors was informed that "Shipment to Hold" statuses were erroneous, while many UPS order delivery estimates have returned to Friday, September 21. Still, it's possible that some percentage of iPhone XS and iPhone XS Max shipments from China have not arrived to Apple Stores in time for today's launch, but our guess is as good as anyone's at this point. Apple apologizes in its email and says it is "working quickly to resolve the issue." Thank you for your recent order with the Apple Store. We know you're excited to pick up your new product. Unfortunately, due to some last minute logistical issues, your order will not be ready for pickup during your check-in time. As soon as your order is ready for pickup, we'll let you know via email. We apologize for the delay in getting your new product into your hands. We're working quickly to resolve the issue. 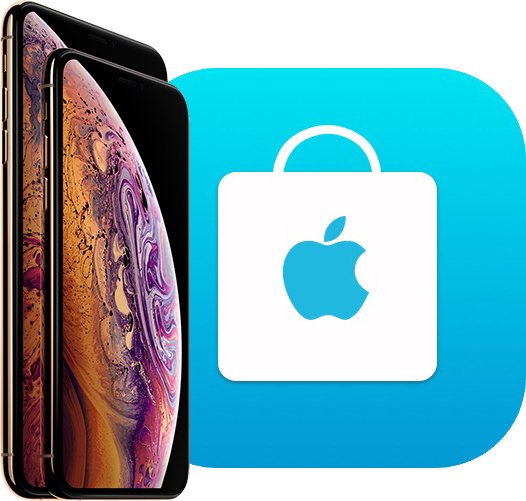 Apple Stores and authorized resellers may still have the iPhone XS, iPhone XS Max, and Apple Watch Series 4 available to purchase in limited quantities for walk-in customers today, as an alternative solution. Online pre-orders can be returned to any Apple Store within 14 days of delivery. Good thing Apple has a logistics expert as their CEO. Yeah, it's probably how 95% of customers get their products on the correct date or even earlier in many cases. You believe a 5% failure rate for delivering a product on time is a flattering stat? When the products were shipping from a country that got slammed by a terrible typhoon, yeah, I think that's pretty impressive. Sounds like most are still getting devices today, just a little delayed in shipping to the stores. Yeah I mean it’s the end of the world. Folks are going to die because they couldn’t get their precious status symbol today. Why even comment if you're just going to **** on people for being excited about a product? I myself need to test several apps for work on the thing, which is why I need my phone today otherwise I have no way of getting it for two weeks which also screws up the exchange of my old phone. It's a huge huge headache if I don't get it today. It's not a "status symbol" its for my job. How will people live using their ancient iPhone X for another couple days? That stinks. Apple should do something, however small, to make up for this. iTunes credit for a few bux or something. Getting an Apple email with the word "unfortunately" anywhere in it is never good. I'm very clearly throwing out a random number as it looks to be an extremely small majority of people. This could all be due to a shipping issue on UPSs end as well.. But ya know.. Gotta bash Cook! For sure on that. On a normal day, on average, Apple manufactures and ships roughly 600,000 iPhones, every day of the year.. Plus a boatload of Macs, iPads, Watches, Homepods, etc. I suspect that number is far greater during a new product rollout. A huge hat-tip to Mr. Cook for creating systems to handle those volumes. Well good luck everybody. I know how you feel when you desperately want a product at day one and being pushed back is frustrating.